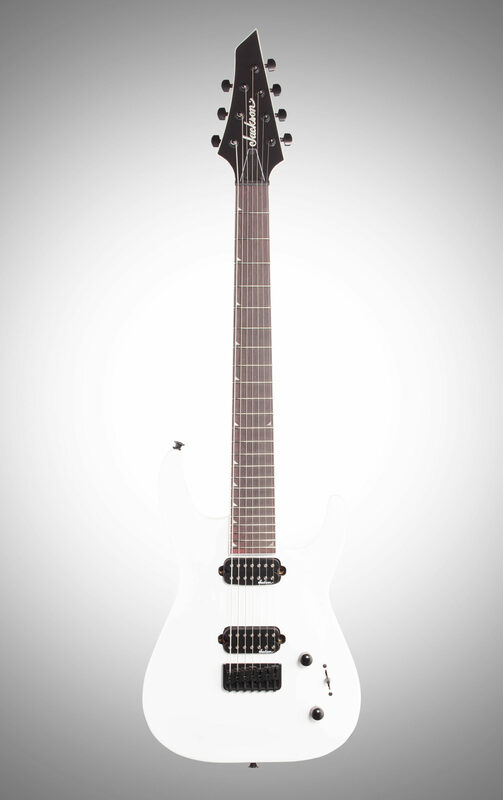 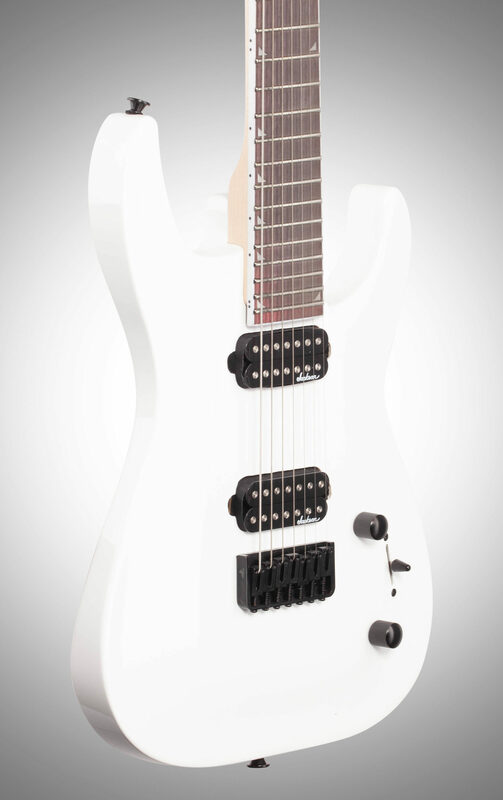 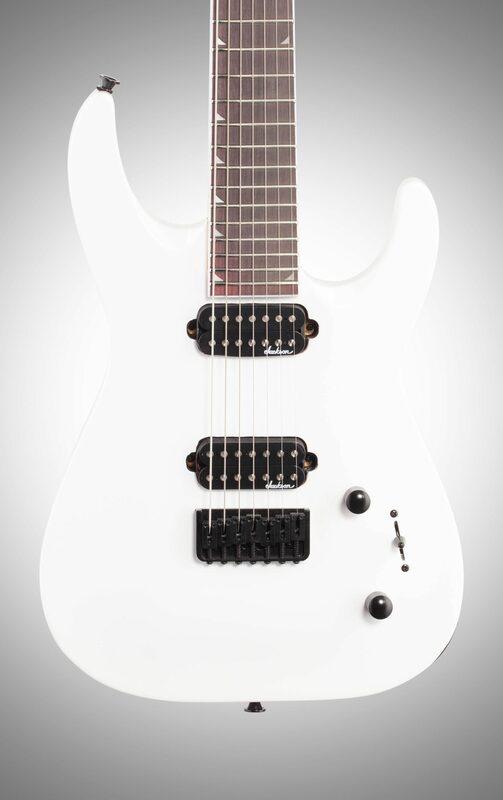 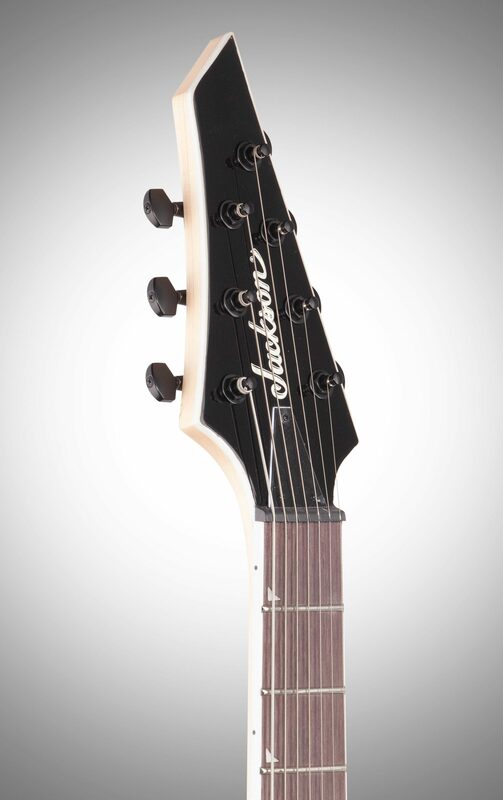 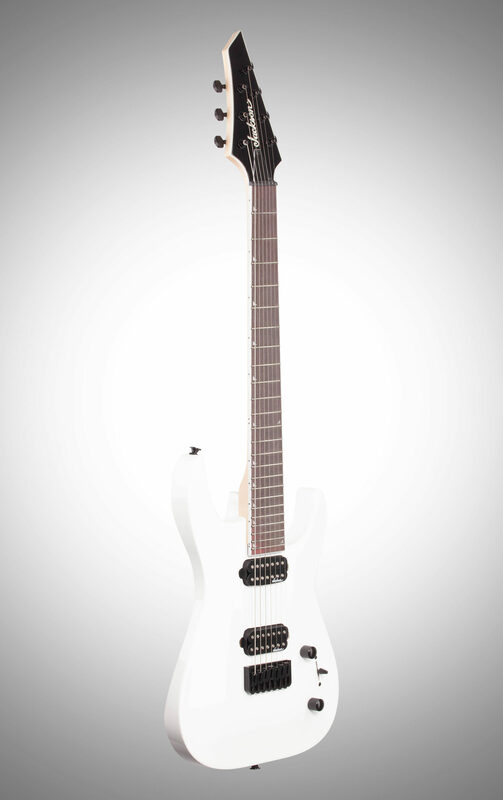 Seven-string fans looking for a guitar that is as sleek and deadly as it is affordable will find everything they need with the Jackson JS Series Dinky Arch Top JS32-7 DKA HT. 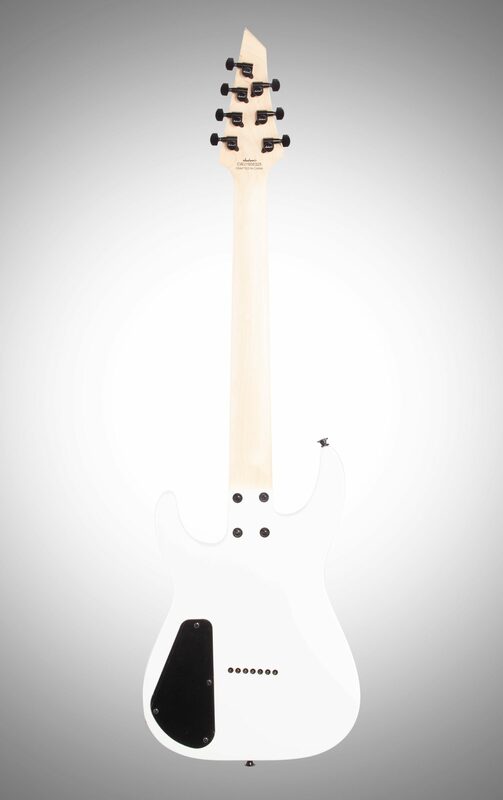 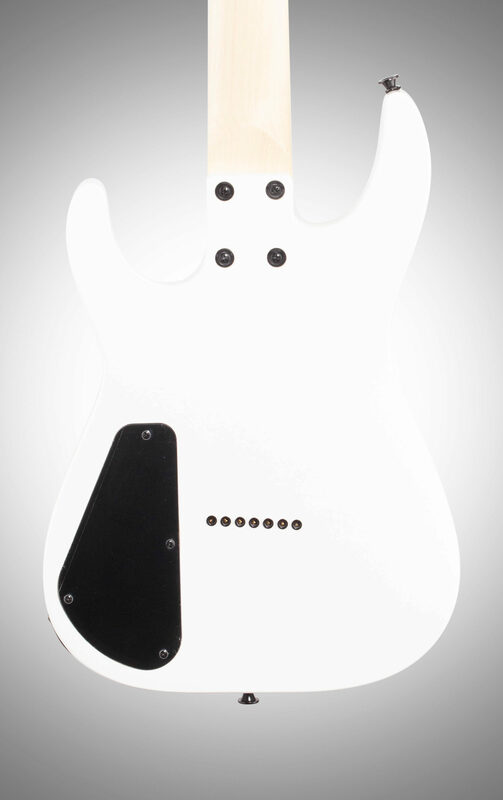 This slick axe features a 26.5" scale length for better low-end articulation, a lightweight and resonant poplar body with an arched top, bolt-on maple neck with graphite reinforcement and scarf joint for rock-solid stability. 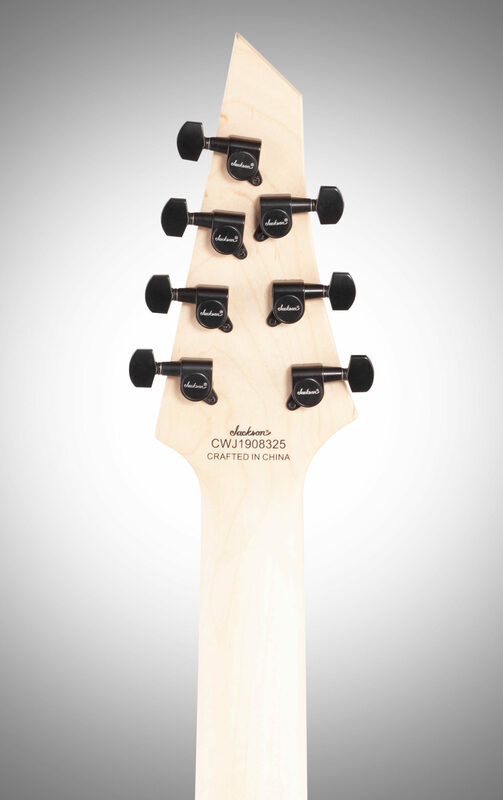 Hosting 24 jumbo frets and piranha tooth inlays, the 12"-16" compound radius amaranth fingerboard creates the ideal playing surface for fat riffs and easy chording near the black plastic nut while gradually flattening in the upper registers for lightning-quick solos and wide bends without fear of fretting out.